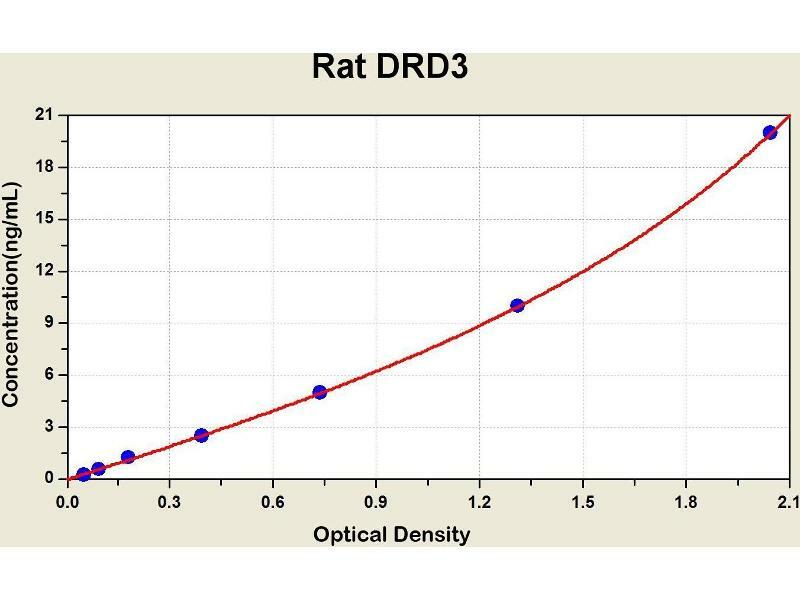 Diagramm of the ELISA kit to detect Rat DRD3with the optical density on the x-axis and the concentration on the y-axis. 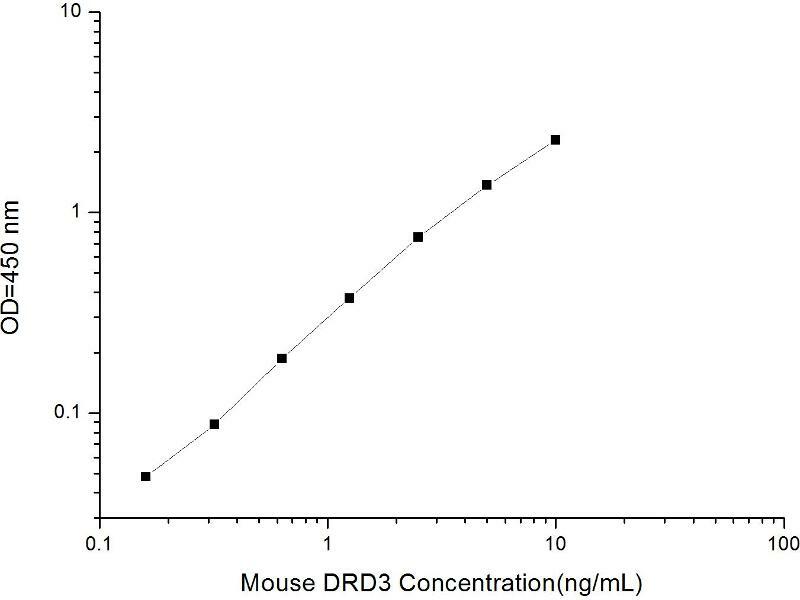 This gene encodes the D3 subtype of the five (D1-D5) dopamine receptors. 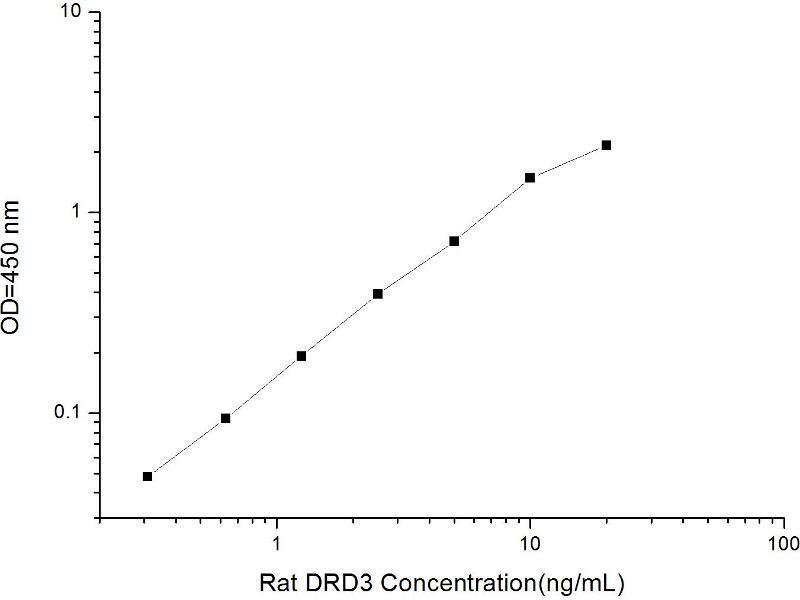 The activity of the D3 subtype receptor is mediated by G proteins which inhibit adenylyl cyclase. 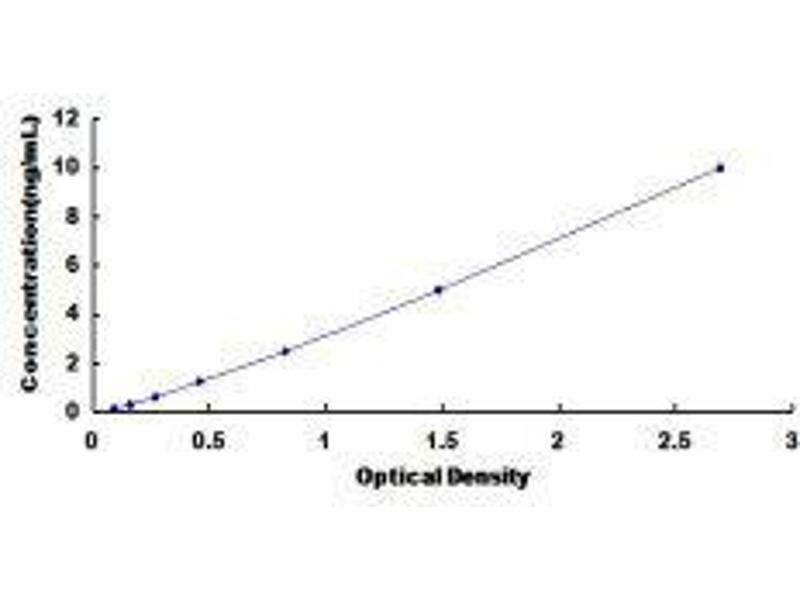 This receptor is localized to the limbic areas of the brain, which are associated with cognitive, emotional, and endocrine functions. Genetic variation in this gene may be associated with susceptibility to hereditary essential tremor 1. Alternative splicing of this gene results in transcript variants encoding different isoforms, although some variants may be subject to nonsense-mediated decay (NMD).